Correlation coefficient map comparing each sample with each of the other samples. 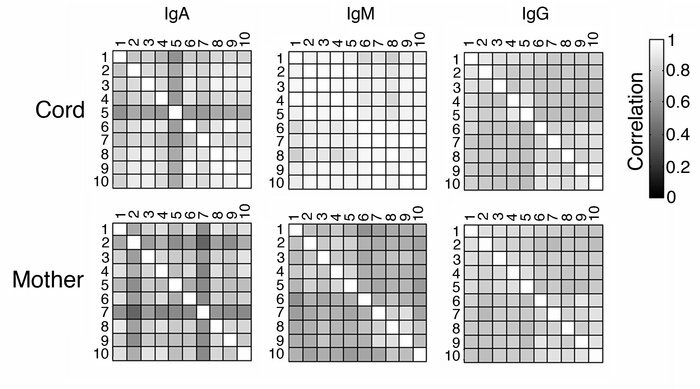 The 10 cord and 10 maternal samples are shown, and the mean IgG, IgM, and IgA reactivities of the 305 tested antigens were compared to determine correlation. The scale shows the degree of correlation from 0 (black) to 1 (white).